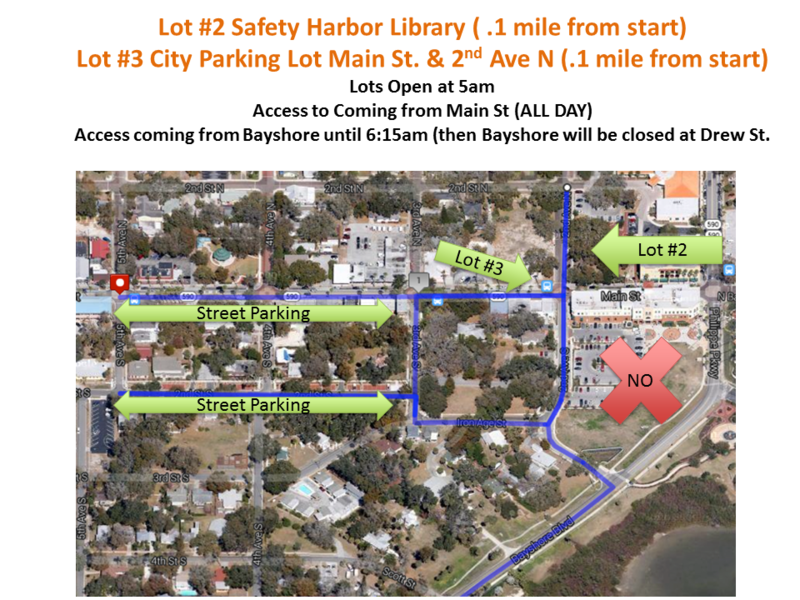 2020 Parking Directions for both Saturday 2.1.20 & Sunday 2.2.20 will be updated closer to the event. There are 4 designated parking lots and street parking below. Parking is FREE. 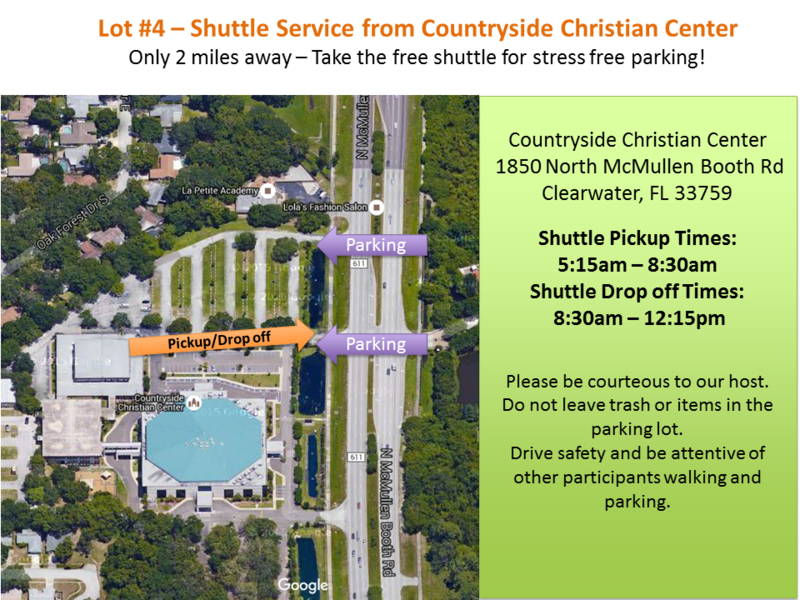 We are providing free shuttle service from Lot #4 (Countryside Christian Center). Please allow extra time for parking on race morning. Be courteous to neighbors and fellow runners. Do not block anyone or your vehicle will be towed. Arrive Early for your race – We recommend parking 45-60 minutes before your scheduled race. 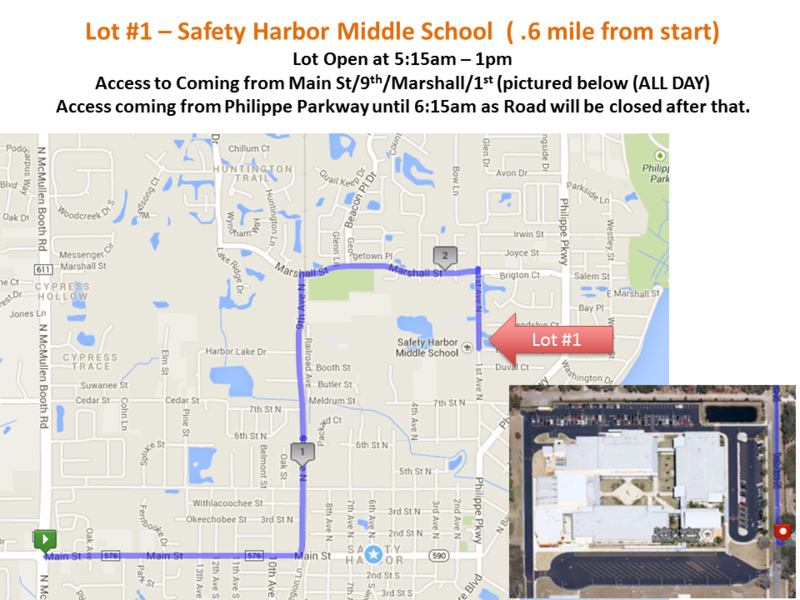 Take Main St. from McMullen Booth Rd to enter Safety Harbor. This entrance will get you to all lots without road closures. Carpool – Regardless if you are taking the shuttle from Lot #4 or going to try to get close street parking near the start line, please try to drive together.